Dan Montgomery, president of the Illinois Federation of Teachers, speaks at a Educate, Discuss, Unite-sponsored debate Wednesday. More than 50 people attended. Two education experts debated the benefits of charter schools in University Hall on Wednesday, with one saying the schools provide students a chance to get a better education, and the other saying public money should be under the supervision of public school districts. Pam Witmer, policy manager at the Illinois Network of Charter Schools, and Dan Montgomery, president of the Illinois Federation of Teachers, faced off at the event hosted by Educate Discuss Unite, a student group focused on education policy. The debate, attended by more than 50 students and educators, examined the merits and effectiveness of charter schools in improving the quality of education for students. Communication junior Matthew Fulle, EDU’s external programming coordinator, moderated the debate. Witmer, who spoke in favor of charter schools, emphasized the idea of “school choice,” saying that charter schools give parents another option if they are unsatisfied with the public schools in their area. “I just want to make sure that we’re focusing on kids and making sure that they have the best option for them,” Witmer said. Witmer, characterizing charter schools as open-enrollment public schools, said they are held to a higher standard of accountability than traditional public schools. Montgomery also said that charter schools’ open enrollment policies are not as inclusive as presented, saying that some have higher expulsion rates than traditional public schools, thereby excluding students. Fulle, the moderator of the debate, praised the setting of the event. 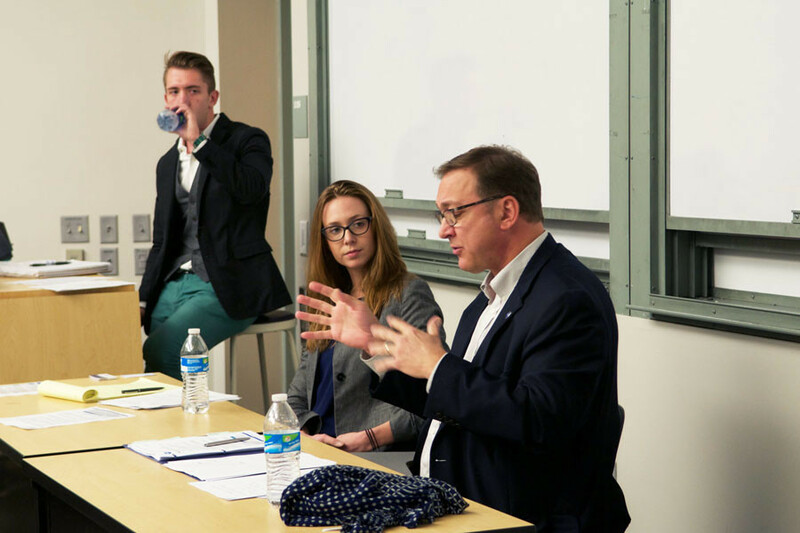 “The debate format opens it up to cut past a lot of political arguments,” Fulle said. He said EDU is more likely to do debates again in the future because of the substantive conversations they bring. Audience members also had the opportunity to ask questions. SESP junior Melissa Bustamante said she appreciated the event.